Up and coming classes, workshops and events. Come and join Patty in this fun and exciting workshop. 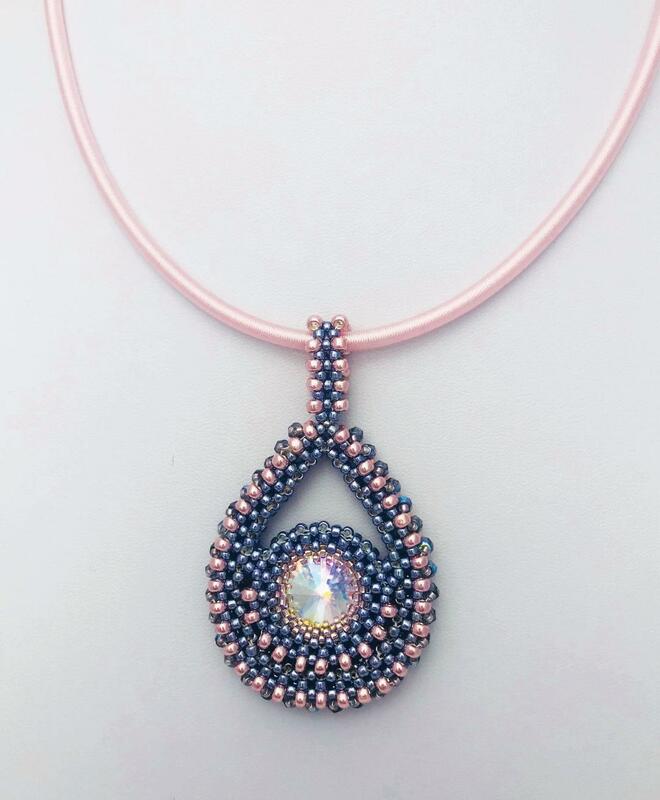 Learn how to create this beautiful necklace that combines rich metallic colour seed beads with sparkling crystals which surround and highlight the framed rivoli. This necklace is made out of different components in cube right angle weave (CRAW) including bezelling a rivoli, making your own clasp and rope plus different surface embellishments. 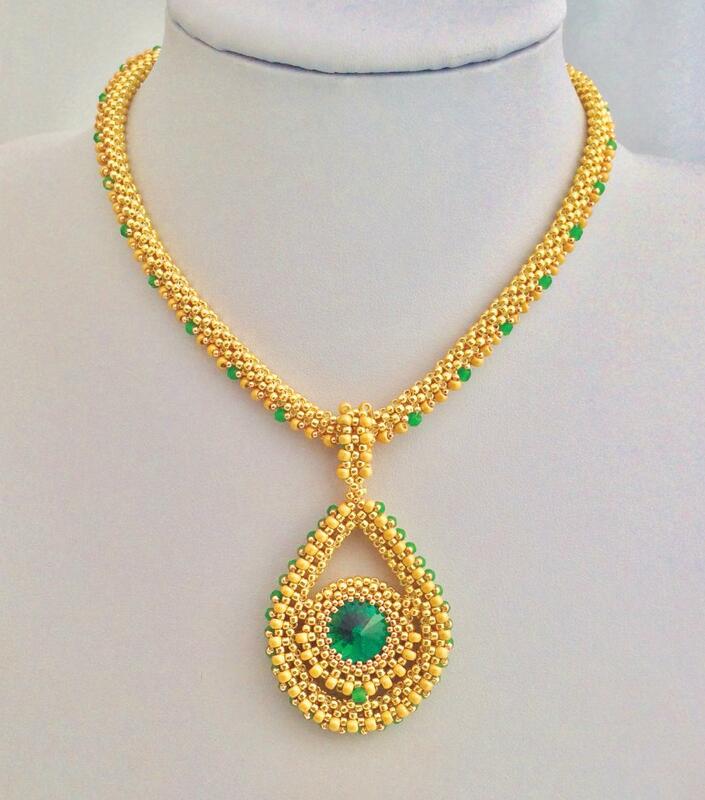 The final result is a jewellery piece that has movement, sparkle with an eye catching finish and look. If you would like to book a place on this workshop, please contact Carole (email, phone or post). Details on p. 2 of journal 129. This bead embroidery pendant was inspired by the gold and garnet pendant found in the grave of the ‘Saxon Princess’ and now on display at the Kirkleatham Museum. More details later. Our 2019 AGM will be held at the Kirkleatham Museum, which is the home of the ‘Saxon Princess’ burial which included beads and pendants from the 6th and 7th centuries AD. We also hope that Steve Sherlock, the archaeologist who excavated the burial, will be able to talk to us about it and the beads. Please bring any beads or bead-related items, recently-acquired or otherwise, for display on our usual ‘Bring & Show’ tables. 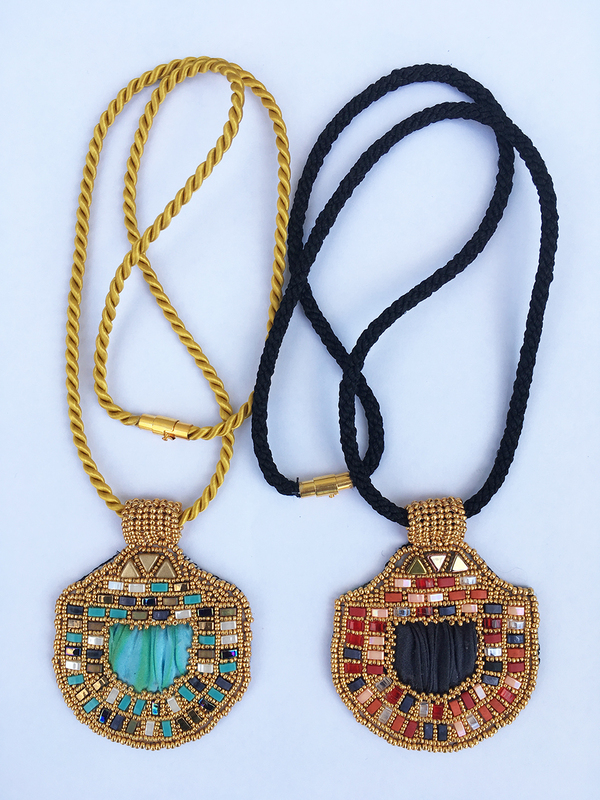 •2.00–4.30 We will be able to look at items on display and examine a small amount of beads and beadwork from the Museum’s reserve collections. Talk on the excavation of the Saxon Princess’ grave and her jewellery. There is a change of venue for the Newmarket Beadfair. It is only 4 miles from the racecourse. Please follow the link for the full details.